Not to be confused with his grand-nephew, Archduke Albrecht Franz, Duke of Teschen. Archduke Albrecht Friedrich Rudolf Dominik of Austria, Duke of Teschen (3 August 1817 – 18 February 1895) was an Austrian Habsburg general. He was the grandson of Emperor Leopold II and one of the chief military advisors of Emperor Francis Joseph I. As Inspector General for 36 years, he was an old-fashioned bureaucrat who largely controlled the Austro-Hungarian Army and delayed modernization. he was honored with the rank of Field Marshal in the armies of Austria-Hungary (1888) and Germany (1893). 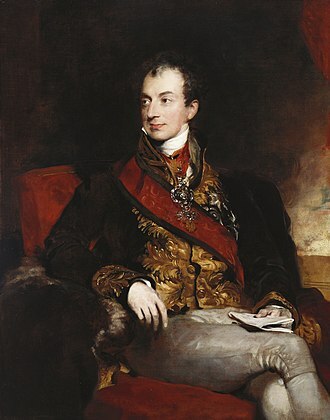 A grandson of the Emperor Leopold II, he was the eldest son of Archduke Charles of Austria, who defeated French Emperor Napoleon I at Aspern (1809), and Princess Henrietta of Nassau-Weilburg. He was the nephew of the Emperor Francis II, and cousin to Emperor Franz Joseph's father Archduke Franz Karl of Austria, and served under Franz Joseph. Born in Vienna, from an early age he had a military disposition, which his father encouraged. Albrecht was subject to a mild form of epilepsy, according to report, but this did not visibly interfere with his military career. He entered the Austrian army in 1837 with Feldmarshal Joseph Radetzky as his military governor. Having received a thorough military education, Albrecht was named a Generalmajor in 1840 and promoted to Feldmarschall-Leutnant in 1843. Promoted to General der Kavallerie in 1845, Albert was given command of Upper Austria, Lower Austria, and Salzburg. Upon the death of his father in 1847, he inherited the Palais Weilburg in Baden bei Wien, which became the family's summer home. In the winter the family lived in Vienna in the Palais Erzherzog Albrecht (the modern Albertina museum). As the commandant of Vienna, Albrecht was wounded in the street fighting on 13 March 1848 at the start of the revolutionary disturbances. He issued live ammunition to his soldiers and secured the inner city, but was unable to suppress the disorder in the outlying districts. With the fall of Metternich and the formation of a city guard led by students, Albrecht pulled his troops into barracks. Radicals resented his attempt to quell the revolution while some fellow officers thought he showed a lack of resolve. 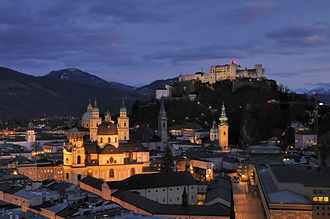 Unsatisfactory to both factions and under pressure from city authorities, Albrecht was replaced by Count Auersperg. Albrecht was sent south to command a division under Radetzky, who faced a coalition of states of the Italian peninsula led by King Charles Albert of Sardinia. Albrecht personally supervised the crossing of the Ticino and by the handling of his division ensuring victory at Novara on 23 March 1849. He became civil and military governor of Hungary in 1851, serving until his recall in 1860. When Archduchess Hildegard went to Munich in March 1864 for the funeral of her brother, King Maximilian II, she became ill with a lung inflammation and pleurisy. She died in Vienna on 2 April 1864, two months short of her 38th birthday. At the outbreak of the Seven Weeks' War in June 1866, Albrecht was named commander of the southern army facing the Italian forces of King Victor Emmanuel II. 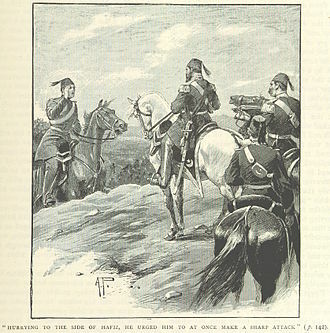 Albrecht was decisively victorious in the battle of Custoza (24 June 1866), but failed to exploit his victory when he neglected to pursue the beaten Italian Army of the Mincio. 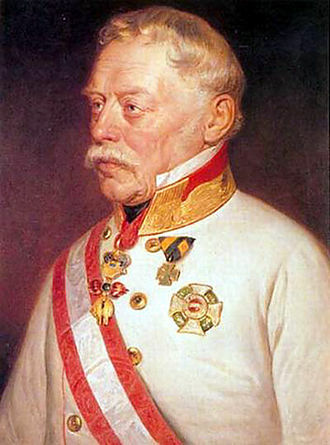 Any advantages for the Austrians however were canceled out by the crushing defeat on 3 July at Königgrätz, where Ludwig von Benedek was surprised by the speed of Helmuth von Moltke's concentric advance into Bohemia. Albrecht was named Oberkommandeur (Commander-in-Chief) on 10 July 1866. 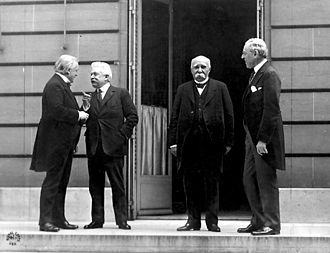 Benedek's defeat made any further action against Prussia impossible, however, and peace was shortly concluded with both Prussia and Italy. 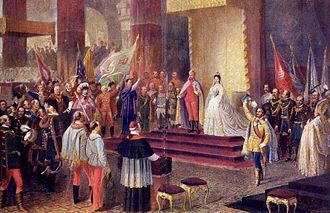 Besides the loss of Holstein to Prussia and Venetia to Italy in 1866, the war resulted in the transformation of the Austrian realm in 1867 as the Dual Monarchy – the Austro-Hungarian Empire. 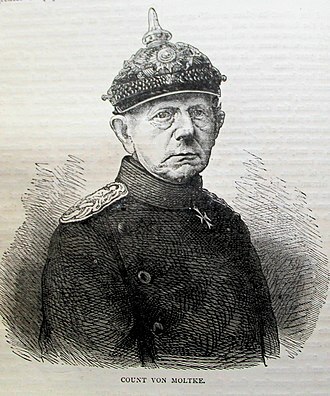 Albrecht remained Oberkommandeur until 1869; when Kaiser Franz Josef I assumed the title that year, Albrecht became Generalinspekteur (Inspector General), the post he occupied until his death. In 1869 he published Über die Verantwortlichkeit im Kriege (On Responsibility in War). His reform of the Austro-Hungarian Army was based on the Prussian model: development of railways and manufacturing, adoption of short-service conscription, procurement of modern weapons and reform of the General Staff. Albrecht's program upgraded the army but he then froze it in place fopr the next three decades as it declined in quality. He fought liberals (including Crown Prince Rudolf) claiming their reforms would be too expensive and disruptive. In public affairs, he was leader of the conservative Court Party, and opposed the ministry of Ferdinand Graf Beust at every point, expressing the most inexorably reactionary views. As such he was an absolutist and opposed any liberal ideas and any weakening of the imperial power. He was somewhat more courteous to Beust's successors, though he remained given to bombastic pronouncements that may not have reflected his actual sentiments. He was widely thought, for instance, to be antipathetic toward Prussia after 1866, yet he modeled his military reforms on those of Prussia and even attended a parade of the Prussian Royal Guard in Berlin at the invitation of Kaiser Wilhelm I. In December 1876 Albrecht advocated a preventive war against Italy on the grounds that of all Austria's neighbors, Italy was the most hostile, could be beaten most easily, and be forced to pay compensation to Austria-Hungary, whose victory would establish it as a Great Power. At the Congress of Berlin in 1878, the Austro-Hungarian Foreign Minister Gyula Andrássy, in addition to the Austro-Hungarian occupation of Bosnia and Herzegovina, also obtained the right to station garrisons in the Sanjak of Novi Pazar, which remained under Ottoman administration. The Sanjak preserved the separation of Serbia and Montenegro, and the Austro-Hungarian garrisons there would open the way for a dash to Salonika, supported by Albrecht, that "would bring the western half of the Balkans under permanent Austrian influence." "High [Austro-Hungarian] military authorities desired [an ...] immediate major expedition with Salonika as its objective." 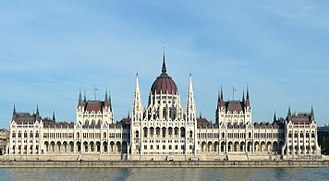 Reputed to be the wealthiest of the Habsburgs, Albrecht owned some 300,000 acres (1,200 km2) in Hungary. 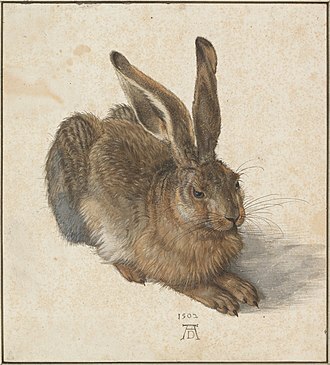 He also owned a fine collection of paintings and engravings, later the nucleus of the Albertina museum. His popularity was profound, for his generosity to the poor was genuine and unfeigned; he was widely known as Engelsherz (Angel's-heart). Having been made a Feldmarschall in his own army in 1888, Albrecht was the recipient of the equivalent rank of Generalfeldmarschall in the German Army in 1893, Kaiser Wilhelm II sending General Walther von Loë to deliver the baton to Albrecht. Archduke Albrecht continued to serve as Generalinspekteur even into advanced age - a situation not uncommon in Austria-Hungary where many commanders retained posts and commissions into old age. By 1895, though still holding his office, he was partially blind and his horse had to be led by an adjutant. When he died in Arco on 18 February 1895, Archduke Albrecht received a state funeral and was buried in tomb 128 of the Imperial crypt in Vienna. His fortune and his title of Duke of Teschen were inherited by his nephew, Archduke Friedrich, who served as Oberkommandeur in 1914–17. Today, an equestrian statue of Archduke Albrecht stands near the entrance to the Albertina museum, his former city residence in Vienna. Albrecht, Duke of Württemberg (1865–1939), commander on the Western Front of the German Fourth Army, 1914–17, and Army Group Duke Albrecht, 1917–18; like his grandfather, he was made a German Field Marshal in 1916. Archduke Karl of Austria-Teschen (3 January 1847, Vienna – 19 July 1848), died of smallpox and buried in tomb 131 of the Imperial Crypt. Archduchess Mathilda of Austria-Teschen (25 January 1849, Vienna – 6 June 1867, Schloss Hetzendorf, near Vienna), buried in tomb 130 of the Imperial Crypt. 1856: Grand Cordon of the Order of Leopold. Albrecht's name was given to a Panzerschiff (armorclad, later battleship) launched in 1872 as Erzherzog Albrecht. Renamed Feuerspeier in 1908, she was ceded to Italy in 1920 and renamed Buttafuoco. The old ironclad survived as a hulk until she was scrapped in 1947. ^ Rothenburg 1976, p. 3. ^ Rothenburg 1976, p. 23. ^ Rothenburg 1976, p. 99. ^ Albertini, Luigi (1952). The Origins of the War of 1914. I. Oxford University Press. p. 19. ^ a b Albertini, Luigi (1952). The Origins of the War of 1914. I. Oxford University Press. p. 33. ^ a b Rothenburg 1976, p. 122. Robert A. Kann, A History of the Habsburg Empire 1526–1918. Berkeley: University of California Press, 1974. Frederic Morton, A Nervous Splendour. 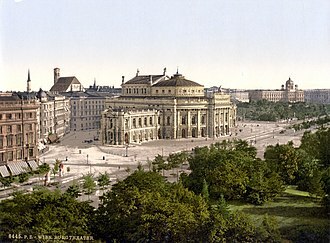 Vienna 1888–1889. London: The Folio Society, 2006 (first published in 1979). Alan Palmer, Twilight of the Habsburgs. The life and times of the Emperor Francis Joseph. New York: Grove Press, 1994. Rothenburg, G. (1976). The Army of Francis Joseph. West Lafayette: Purdue University Press. Wikimedia Commons has media related to Archduke Albrecht, Duke of Teschen. Henrietta Alexandrine Friederike Wilhelmine of Nassau-Weilburg, of Nassau was the wife of Archduke Charles, Duke of Teschen. Her husband was a general of the Napoleonic Wars and victor of the Battle of Aspern-Essling against Napoleon I of France. Henrietta was the youngest daughter of Frederick William of Nassau-Weilburg and his wife Burgravine Louise Isabelle of Kirchberg and her paternal grandparents were Karl Christian of Nassau-Weilburg and Princess Wilhelmine Carolina of Orange-Nassau. Wilhelmine Carolina was a daughter of William IV, Prince of Orange and Anne, Anne was in turn the eldest daughter of George II of Great Britain and Caroline of Ansbach. On 15 September/17 September 1815 in Weilburg, Henrietta married Archduke Charles of Austria, the bride was almost eighteen years old and the groom forty-four. Her husband was a son of Leopold II, Holy Roman Emperor, however he had been adopted and raised by his childless aunt Marie Christine of Austria and her husband Albert of Saxe-Teschen. Johann Josef Wenzel Anton Franz Karl, Graf Radetzky von Radetz was an Austrian nobleman and field marshal. 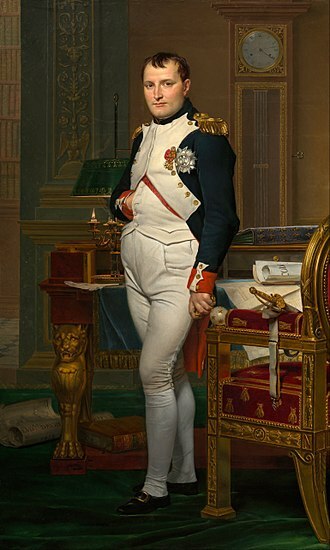 He served as chief of the staff during the period of the Napoleonic Wars. 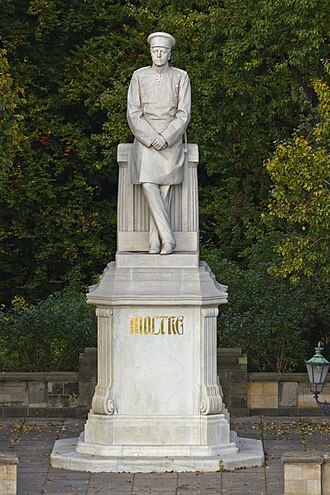 Radetzky is best known for the victories at the Battles of Custoza and he retired at age 90 and was immortalized by Johann Strauss Is Radetzky March. Radetzky was born into a family of Czech origin at Chateau Třebnice near Sedlčany in Bohemia. Orphaned at an age, he was educated by his grandfather. The academy was dissolved during his first years residence in 1785, the following year he became an officer, and in 1787 was promoted to first lieutenant in a cuirassier regiment. He served as an adjutant to both Count von Lacy and Field Marshal von Laudon during the Austro-Turkish War of 1787–1791, in 1798 he married Countess Francesca von Strassoldo Grafenberg, from Tržič, Carniola. They had five sons and three daughters, Radetzky however had a longstanding Italian mistress, named Meregalli, with whom he had eight children, all of which he recognized as his. In 1795 Radetzky fought on the Rhine, promoted to major, he took part in Dagobert Wurmsers Siege of Mantua campaign, which ended in the fall of that fortress. As lieutenant-colonel and colonel he displayed bravery and skill in the battles of Trebbia, in 1801 Radetzky was made a Knight of the Military Order of Maria Theresa. In 1805, on the march to Ulm, he received news of his promotion to major-general and he thus took part in the failed campaign of Caldiero. Peace provided a respite, which he spent in studying and teaching the art of war. In 1809 he led a brigade in V Corps during the Battle of Eckmühl, promoted lieutenant field marshal, he commanded a division in IV Corps at the Battle of Wagram. In 1810 he was created a Commander of the Order of Maria Theresa, in 1813 he was Schwarzenbergs chief of staff and had considerable influence on the councils of the Allied sovereigns and generals. During the succeeding years of peace he disappeared from public view and he resumed his functions as chief of staff, but his ardent ideas for reforming the army came to nothing in the face of the general war-weariness and desire to let well enough alone. This conflict paralleled the Third Independence War of Italian unification. It saw the abolition of the German Confederation and its replacement by a North German Confederation that excluded Austria. 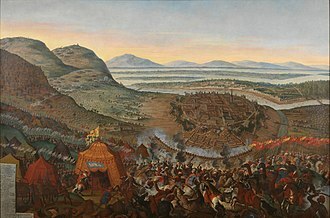 The war resulted in the Italian annexation of the Austrian province of Venetia, for centuries, Central Europe was split into a few large states and hundreds of tiny entities, each maintaining its independence with the assistance of outside powers, particularly France. After 1815, the German states were again reorganized into a loose confederation. When Austria brought the dispute before the German Diet and decided to convene the Diet of Holstein, when the German Diet responded by voting for a partial mobilization against Prussia, Bismarck claimed that the German Confederation was ended. Crown Prince Frederick was the member of the Prussian Crown Council to uphold the rights of the Duke of Augustenberg. 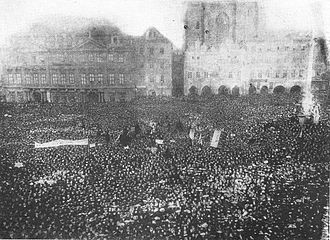 Although he supported unification and the restoration of the medieval empire, the ultimate aim of most German nationalists was the gathering of all Germans under one state. Two ideas of national unity eventually came to the fore – once including, US newspaper The New York Times summarized its views of German nationalism shortly after the outbreak of the war, There is, in political geography, no Germany proper to speak of. There are Kingdoms and Grand Duchies, and Duchies and Principalities, inhabited by Germans, yet there is a natural undercurrent tending to a national feeling and toward a union of the Germans into one great nation, ruled by one common head as a national unit. Bismarck maintained that he orchestrated the conflict in order to bring about the North German Confederation, the Franco-Prussian War, taylor thinks Bismarck manipulated events into the most beneficial solution possible for Prussia. On 22 February 1866, Count Karolyi, Austrian ambassador in Berlin, sent a dispatch to the Minister of Foreign Affairs, possible evidence can be found in Bismarcks orchestration of the Austrian alliance during the Second Schleswig War against Denmark, which can be seen as his diplomatic masterstroke. It was in the Prussian interest to gain an alliance with Austria to defeat Denmark and settle the issue of the duchies of Schleswig, the alliance can be regarded as an aid to Prussian expansion, rather than a provocation of war against Austria. Many historians believe that Bismarck was simply a Prussian expansionist, rather than a German nationalist and it was at the Gastein Convention that the Austrian alliance was set up to lure Austria into war. 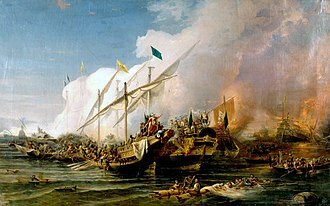 The timing of the declaration was perfect, because all other European powers were bound by alliances that forbade them from entering the conflict. Britain had no stake economically or politically in war between Prussia and Austria, the details of the discussion are unknown but many historians think Bismarck was guaranteed French neutrality in the event of a war. Italy was already allied with Prussia, which meant that Austria would be fighting both with no major allies of its own, Bismarck was aware of his numerical superiority but still he was not prepared to advise it immediately even though he gave a favourable account of the international situation. Helmuth Karl Bernhard Graf von Moltke was a German Field Marshal. The chief of staff of the Prussian Army for thirty years, he is regarded as the creator of a new, more modern method of directing armies in the field. 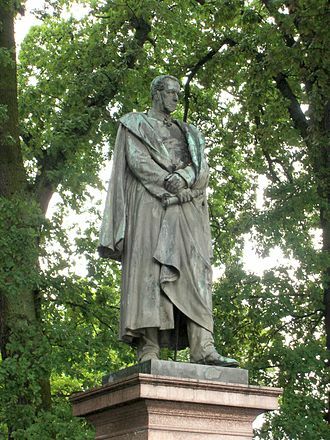 He is often referred to as Moltke the Elder to distinguish him from his nephew Helmuth Johann Ludwig von Moltke, Moltke was born in Parchim, Mecklenburg-Schwerin, son of the Danish Generalleutnant Friedrich Philipp Victor von Moltke. Young Moltke therefore grew up under difficult circumstances, at nine he was sent as a boarder to Hohenfelde in Holstein, and at age twelve went to the cadet school at Copenhagen, being destined for the Danish army and court. In 1818 he became a page to the king of Denmark, at twenty-one Moltke resolved to enter the Swedish service, in spite of the loss of seniority. In 1822 he became a lieutenant in the 8th Infantry Regiment stationed at Frankfurt. At twenty-three, he was allowed to enter the war school. For a year Moltke had charge of a school at Frankfurt an der Oder. In 1832 he was seconded for service on the staff at Berlin. He was at this time regarded as a brilliant officer by his superiors, including Prince William, max Boot says of Moltke in his War Made New, Moltke loved music, art and theater. He was a prolific artist who filled sketchbooks with landscapes and portraits, as well as a popular author. For all his catholicity of interests and he was a nationalist to the core who was appalled by the liberal revolutions that swept Europe on 1848. He placed his faith in the king and the forces of the old regime, Moltke was well received at court and in the best society of Berlin. His tastes inclined him to literature, to study and to travel. In 1827 he had published a romance, The Two Friends. In 1831 he wrote an essay entitled Holland and Belgium in their Mutual Relations, a year he wrote An Account of the Internal Circumstances and Social Conditions of Poland, a study based both on reading and on personal observation of Polish life and character. In eighteen months he had finished nine volumes out of twelve, in 1835 on his promotion as captain, Moltke obtained six months leave to travel in south-Eastern Europe. The Duchy of Teschen, Duchy of Cieszyn or Duchy of Těšín was an autonomous Silesian duchy centered on Cieszyn in Upper Silesia. During the feudal division of Poland it was split off from the Duchy of Racibórz in 1281, after the bulk of Silesia was conquered by the Prussian king Frederick the Great in 1742, Cieszyn/Těšín together with the duchies of Troppau and Nysa remained with Austrian Silesia. The ducal title was held by the Austrian archdukes of the House of Lorraine until 1918, the duchy shared the history of the Cieszyn Silesia region, and in part that of Silesia in general. The area had been the south-easternmost part of the medieval Duchy of Silesia, in 1172 the sons of the first Silesian Piast duke Władysław II the Exile divided their heritage, the lands of Cieszyn fell to Duke Mieszko I of Racibórz. Mieszko himself in 1202 occupied the neighbouring Duchy of Opole, forming the united Upper Silesian Duchy of Opole and Racibórz. After the death of Mieszkos grandson Duke Władysław of Opole in 1281, Upper Silesia was again divided among his sons, after Mieszkos death in 1315, his eldest son Władysław took the Cieszyn lands east of the Biała River and established the Duchy of Oświęcim. The younger son Casimir I retained the part and in 1327 swore homage to the King of Bohemia. After that Cieszyn became a fiefdom of the Kingdom of Bohemia. Local Piast rulers often possessed other lands outside the Duchy of Těšín itself, for example the Duchy of Siewierz, half of Głogów, after the death of Duke Boleslaus I in 1431, the rule over the duchy was shared by his wife Eufemia and their four sons. During the reign of Duke Wenceslaus III Adam, from 1528 onwards and his son and successor Adam Wenceslaus shifted back to Roman Catholicism in 1610. In 1570s the duke struggled with problems and had to sell most of the towns as state countries. 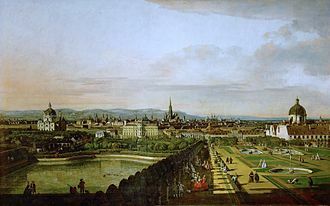 The Habsburg dynasty ruled Teschen from 1653, although most of Silesia had passed to the Kingdom of Prussia in 1742 after the First Silesian War, Teschen remained under Austrian control as part of Austrian Silesia. The title passed down his line, first to his eldest son, Albert Frederick, with Austrian Silesia, the territory of Teschen became part of the Austrian Empire in 1804 and a Cisleithanian crown land of Austria–Hungary in 1867. A set of revolutions took place in the Austrian Empire from March 1848 to November 1849. The nationalist picture was complicated by the simultaneous events in the German states. Besides these nationalists and even socialist currents resisted the Empires longstanding conservatism, the events of 1848 were the product of mounting social and political tensions after the Congress of Vienna of 1815. Conflicts between debtors and creditors in agricultural production as well as land use rights in parts of Hungary led to conflicts that occasionally erupted into violence. Conflict over organized religion was pervasive in pre-1848 Europe, tension came both from within Catholicism and between members of different confessions. These conflicts were often mixed with conflict with the state, important for the revolutionaries were state conflicts including the armed forces and collection of taxes. Draft commissions led to brawls between soldiers and civilians, all of this further agitated the peasantry, who resented their remaining feudal obligations. Despite lack of freedom of the press and association, there was a flourishing liberal German culture among students and they published pamphlets and newspapers discussing education and language, a need for basic liberal reforms was assumed. These middle class liberals largely understood and accepted that labor is not efficient. The question was of how to institute such reforms, notable liberal clubs of the time in Vienna included the Legal-Political Reading Club and Concordia Society. They had merely advocated relaxed censorship, freedom of religion, economic freedoms, above all and they were outright opposed to popular sovereignty and the universal franchise. To their left was a radicalized, impoverished intelligentsia, educational opportunities in 1840s Austria had far outstripped employment opportunities for the educated. In 1846 there had been an uprising of Polish nobility in Austrian Galicia, the economic crisis of 1845-47 was marked by recession and food shortages throughout the continent. Baden, unofficially distinguished from other Badens as Baden bei Wien, is a spa town in Austria. It serves as the capital of Baden District in the state of Lower Austria, located about 26 km south of Vienna, the municipality consists of cadastral Baden, Gamingerhof, Mitterberg and Weikersdorf. Baden located at the mouth of the Schwachat Rivers St Helena Valley in the Vienna Woods range and it takes its name from the areas 13 hot springs, which vary in temperature from 72 to 97 °F and contain lime sulphate. They lie for the most part at the foot of Mt Calvary, the highest point in the area is the Iron Gate, whose 2,825 ft can be ascended in about three hours. 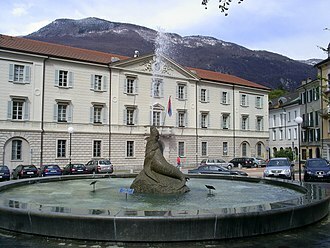 The celebrity of Baden dates back to the days of the Romans, the settlement was mentioned as Padun in a deed from AD869. The nearby abbey of Heiligenkreuzs Romanesque church was constructed in the 11th century, the castle Rauheneck was constructed on the right bank of the river at the entrance to the valley in the 12th century, the castle Rauhenstein was built on the opposite bank at the same time. The town received its privileges in 1480. 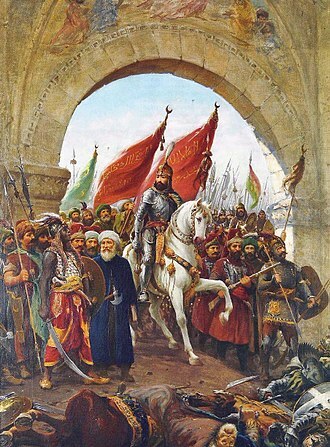 Although repeatedly sacked by Hungarians and Turks, it flourished again each time. Archduke Charles, the victor of Aspern, constructed the Château Weilburg at the foot of Rauheneck between 1820 and 1825, the town boasted a theater, military hospital, and casino. The composer Ludwig van Beethoven stayed a number of times in Baden, the location at Rathausgasse 10 now forms a museum open to the public. Mayerling, a lodge about 4 mi up the valley, was the site of Crown Prince Rudolfs murder-suicide in 1889. Its primary export in the 19th century were steel razors, which were reckoned of excellent quality, the City Theater was built in 1909 by Ferdinand Fellner. By the time of the First World War, Baden was Viennas principal resort, 20 000 came each year, in addition to a modern Curehouse, there were 15 separate bathing establishments and several parks. During the war, Baden served as a seat of the Austro-Hungarian high command. 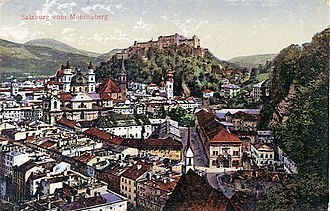 A new casino in 1934 made the town the premier resort throughout Austria, the Château Weilburg was destroyed during World War II. Barricades in Prague during the revolutionary events. The Viennese students Academic Legion played a key role in toppling Metternich's government and precipitating his retirement on 13 March 1848. Charles Emmanuel, Prince of Carignano, father of Charles Albert. Maria Christina of Saxony, mother of Charles Albert. Youthful portrait of Charles Albert. Maria Theresa of Austria, Charles Albert's wife. Battle of Königgrätz: Prince Friedrich Karl is cheered on by his Prussian troops. Prussian artillery at the Battle of Langensalza. Oil painting by Georg von Boddien. Great powers are recognized in an international structure such as the United Nations Security Council, whose meeting chamber is pictured. Leopold von Ranke was one of the first to attempt to scientifically document the great powers. King Charles Albert of Sardinia, who declared war on Austria on 23 March 1848. King Charles Albert of Sardinia with his bicorne hat in his hand, at left, greets the Piedmontese troops after they have crossed the Ticino. Painting by Stanislao Grimaldi (1825-1903). Cavalry engagement at the battle of Königgrätz (Alexander von Bensa, 1866).